Point Loma Nazarene University in San Diego, CA provides students with a Christian liberal arts education, where academics, faith and community are all vital. Full-time students are required to attend chapel and can be fined for missing chapel too many times, while extracurricular options range from a Club Surfing team to visiting the famous San Diego Zoo. What is a typical Point Loma Nazarene University student like? Describe the type of person that should attend Point Loma Nazarene University. The students at PLNU is often open hearted and open minded. Kindness is of the essence as well as a determination to build a strong relationship with God and the Christian community. What are the top 3 reasons someone should attend Point Loma Nazarene University? What was a typical Point Loma Nazarene University student like in high school? Describe the type of person that should attend Point Loma Nazarene University. When Dr. Phineas F. Bresee responded to the growing need for a Christian college in the Los Angeles area, God used him to answer the heartfelt prayers of a group of six women who called themselves the Bible College Prayer Circle. The group had come together in 1897, and on July 28, 1902, their prayers were answered. Bresee founded and became the first president of Pacific Bible College, which would become Pasadena College and later Point Loma Nazarene University. The women had envisioned a Bible college, but Bresee's vision was for a liberal arts institution. He believed that spiritual and academic learning went hand-in-hand. That legacy is still with us today, as PLNU remains committed to the liberal arts and to whole-person education. Pacific Bible College began with 41 students. In 1910, Bresee purchased the Hugus Ranch land in Pasadena and fulfilled his dream of creating not just a Bible college but a holiness university. Nazarene University opened in 1910 and from its beginning included women students. In 1964, W. Shelburne Brown became president of Pasadena College. He was instrumental in moving the college from its original location in Pasadena to its new Point Loma, San Diego home in 1973. Dr. Bob Brower, PLNU's current president, was inaugurated in 1998. In 1999, graduate programs in education were begun in Bakersfield and Mission Valley. A graduate program in education had remained in Pasadena since the move. In 2001, the program moved to Arcadia. Also in 2001, an MBA program was added in Mission Valley. PLNU now has five locations: the undergraduate campus in Point Loma and graduate programs at regional centers in Arcadia, Bakersfield, the Inland Empire, and Mission Valley San Diego. Point Loma currently offers graduate degrees in biology, business, education, nursing, and theology. Bresee's commitments to the message of holiness and to helping the poor set the stage for the future work of the Church of the Nazarene and PLNU. Nazarene churches are known for their outreach, for their service to those in need, and for addressing issues of social justice. Though the university began with only $4,000 in pledges, God has been faithful. Today, PLNU is home to more than 2,500 undergraduate students, and more than 1,200 graduate students. There is a Bible on campus, encased in protective glass. This Bible belonged to Phineas Bresee. It's opened to Isaiah 62, the chapter Bresee claimed for the school. Permanently marked with his fingerprints, it displays a double message: God's words in Isaiah 62 and Bresee's love for those words. It's a message of being grounded in Scripture, of pursuing a well-rounded education and serving the poor out of a first and intense love for God and His Word. Bresee died in 1915, but his message still resonates. In fact, it defines Point Loma Nazarene University. What are the top 3 things that students do for fun at Point Loma Nazarene University? The three top things that students do for fun at Point Loma Nazarene University is having bible studies, having potlucks, and enjoying fellowships. Campus housing is available for undergraduates. Housing deposit : $425.00. Housing deposit due : May 1. Housing deposit is not refunded if student does not enroll.. No cars. No pets. The average student pays $29,013 for tuition, fees, and other expenses, after grants and scholarships. Total stated tuition is $29,750, in-state and on-campus, before financial aid. Learn more about financial aid at http://www.pointloma.edu/financialaid. Estimate the net price for you at http://www.pointloma.edu/npc. The typical (median) early career salary of Point Loma Nazarene University graduates is $40,500, according to Payscale. 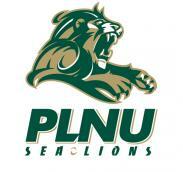 Point Loma Nazarene University participates in the NCAA Division II for college athletics. Want more info about Point Loma Nazarene University? Get free advice from education experts and Noodle community members.